Needless to say, it hasn't taken German tuning house, ABT Sportline long to add their flare to Audi's all-new Q3. As Hans-Jürgen Abt explains, “In its class the Q3 is something special. For our designers it provides the perfect working basis, as it is both classy and dynamic.” Living up to that classy and dynamic approach, the new ABT Q3 boasts up to 250 horsepower from the the 2.0 TFSI; matched to ABT's signature styling cues of upgraded wheels and aero kit. Full run-down after the jump. 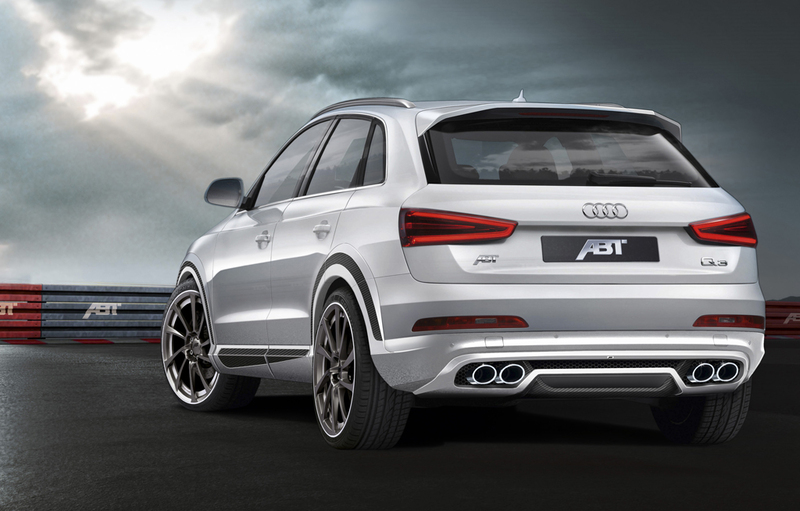 Under the hood, ABT Sportsline offers a full range of power upgrades for the Audi Q3. Utilizing ABT's "POWER" performance ECU tuning programing, the most potent 2.0 TFSI application gets a bump from 211 to 250-hp and an additional 18 horses for the 2.0 TDI. The added power is then mated to an upgraded suspension system, revised aero kit and choice of ABT's "CR" or "DR" design wheels in sizes ranging from 18 to 20 inches. Full press release and specification below. Regardless of which engine is chosen, the customer always receives a vehicle which combines maximum driving fun with everyday usability and reliability. The fact that handling and optics do not have to suffer due to the car’s diversity is proved emphatically by the SUV of ABT. And the new Q3 in particular is a really attractive car, its design elements harmonise with the performance improvements – both have been developed as it were from the high demands of ABT customers. 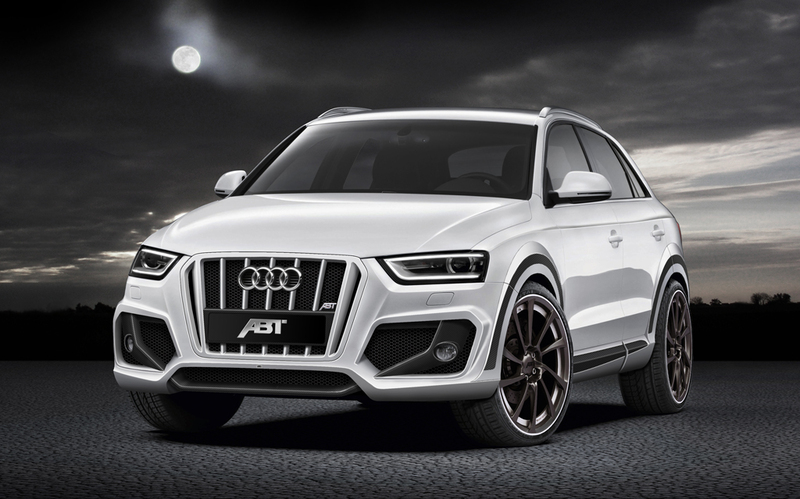 Consequently the extravagant light metal alloys from the CR and DR ranges suit the ABT Q3’s powerful-robust coupe shape perfectly. It goes without saying that the alloys are also available in combination with strong load-bearing highperformance tyres – in accordance with the commitment to maximum urban sportiness.